Radiant Design & Supply, Inc., formerly Radiant Engineering Inc, specializes in hydronic radiant heating, energy conservation, and technical assistance for designers, contractors, and do-it-yourself homeowners. In 1995, Radiant Engineering Inc patented the ThermoFin extruded aluminum heat transfer plate for efficient radiant heating. We manufacture in the USA and sell directly to contractors and the public in North America. Radiant Design & Supply has also developed new methods for prefabricating mechanical systems for custom projects and has advanced industrial standards for performance in radiant floor heating systems. Radiant Design & Supply owner, Dale Pickard, is a well-known specialist in hydronics who has developed practical solutions to move the field forward. 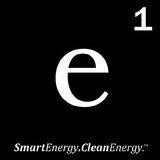 Energy 1 is a nationally recognized design/build firm specializing in smart, turnkey renewable energy solutions. Energy 1’s professional staff and strategic partners deliver engineering, installation, operations, maintenance and management services- all driven by collaborative and sustainable solutions designed to ensure comfort, reduce operational costs, and get the most out of every energy dollar. 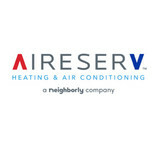 Generally, Big Sky HVAC contractors or HVAC technicians work with or run companies that repair or install heating systems and air conditioning units for homes. But they have specialized services too. For example, if you are a wine collector and you are thinking of installing a wine cellar in your Big Sky, MT home, you might hire a Montana HVAC professional who specializes in refrigeration work. HVAC professionals can use their skills to help you to save money on your Big Sky, MT home’s energy bills by installing radiant barriers in your attic or split-zone heating and cooling systems to heat rooms like solariums while cooling upstairs bedrooms during warmer temperatures. Find HVAC contractors on Houzz. Look in the Professionals section of our website and search for Montana HVAC contractors. Read reviews and see how an HVAC contractor might approach your Big Sky, MT home’s heating and cooling challenges.